ISO 27001 is an internationally recognised standard that provides the specification for a best-practice information security management system (ISMS). The ISMS is a framework of policies and procedures that include legal, physical, logical and technical controls to manage an organisation’s information risk. The result is protecting the confidentiality, integrity and availability of all information under our control. To obtain this certification, we had to build, manage and improve our ISMS for managed services. This certification is considered a benchmark for maintaining customer and stakeholder confidentiality. It allows for secure exchange of information: processes and controls will minimise the risks leading to safer information exchange. Information security becomes everyone’s responsibility: through training and awareness, everyone in our organisation is accountable for information security. You know we care about your information security: our clients and partners that share valuable data with us can be assured that we treat security seriously. 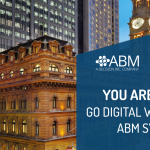 Whether you work for a government organisation or in private enterprise, you can rest assured that ABM Systems has certified internal policies, procedures and controls to ensure that your information is protected when you’re working with us. If you have any questions relating to information security or ISO 27001, please get in touch.